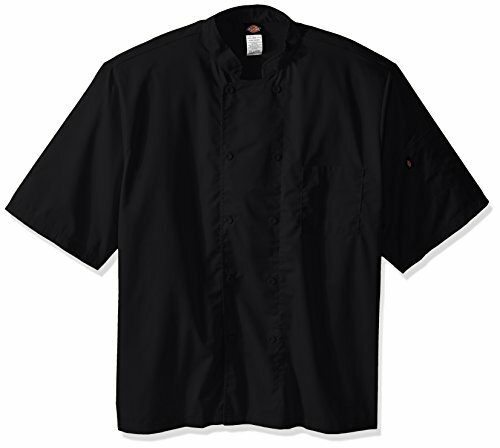 The cool breeze chef coat with short sleeves has all of the features of the long sleeved cool breeze coat. Single needle top stitching and covered buttons add to the style of the coat. It has a front patch pocket and thermometer pocket on the sleeve. The mesh back vent keeps you cool in the kitchen.